History is continually being made with this present generation of Biafrans by their going back to their ancient culture, tradition and religion. The Biafran state you see today, was an egalitarian yet unified Kingdom with one language, culture, tradition and religion. It is the coming of human evolution that makes it appear as if they were different ethnic groups due to some menial differences brought about by the evolution of their major Igbo language. Of course, such a cause and effect is bound to take its toll on a people very eager to dominate and progress in life. Today in Israel, what happened to the people of Biafra also happened to them due to the fact that they share the same ancestry in common. In Israel, not only their languages but some of their traditions varies. The Jews and the Hebrews do not share same language but that does not in any way dispute the fact that Jacob is their ancestor. 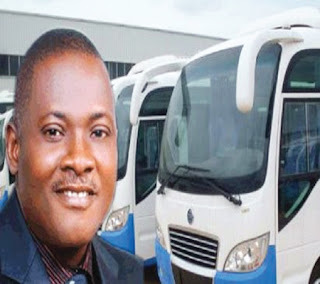 The Nri Kingdom is an ancient kingdom in Biafra land in the present Anambra State which is why today; Anambra indigenes are the original first sons of Biafra land— this is the home state where the manager of Innoson Motors, Innocent Chukwuma, hails from. The Nri Kingdom was founded around 900AD by the ancestor, Eri, the son of Gad and Gad the son of the Biblical Jacob. The people of Nri Kingdom includes the people of Awka and Onitsha to the east of Nri kingdom, the Efik, the Ibibio and the Ijaw to the south, Nsukka and Igala to the north and Asaba and Anioma to the west of Nri. Inside these names mentioned above includes other ones like the Itshekiri, Izon, Idoma, etc. Due to human evolution, and as time progresses, many things have changed but some of their traditions remained unique and unchanged till date. In those days, the people were trained never to abandon their own people but to do everything possible to defend them in every circumstance. Unity was high and enjoyed among the people. Other kingdoms feared them for the great unity they uphold. “Onye aghala nwanne ya,’’ meaning never abandon your own, was a popular saying in Nri Kingdom. With this genius behaviour, great kings (Ezes) were made; one of them was Eze Nri Obalike, the 15th Eze of Nri Kingdom. This king also was as fearless like his predecessors. He never abandoned his people and culture even at gunpoint by the colonialists. As the Eze of Nri Kingdom, he stood against slavery in Africa. This day, Biafrans have reiterated and demonstrated that by standing in solidarity with one of their own Mazi Innocent Chukwuma, the founder and CEO of INNOSON Motors, through the leadership of Mazi Nnamdi Kanu-led IPOB. Throughout the record of history, the Nigerian government is such that is determined to render defunct Biafra regions of the Eastern Nigeria, impotent and barren through her inordinate policies. She has been violently attacking her(Biafra's) inherent talents and cooking up all manner of charges just to torment, disband and finally shutdown their investments. In Biafra land, there are three international seaports that have been long abandoned by government including the airports and the federal government is deliberately keeping mute over that. In Aba, Abia State, the Nigerian government closed down profitable factories like; Aba Ceramics, Golden Guinea and Glass factories. The likes of these is also Ibeto cement industry and many more which were closed down by the same government. But this time around, thanks to Mazi Nnamdi Kanu, the voice from the East that changed and returned the people to whom they were. The only voice that stood against all odds and came out victorious. He pressed his people to go back to “onye aghala nwanne ya’’ and that they have done correctly this time and the result is eloquent. This action we took by protesting for one of our own, Mazi Innocent Chukwuma and the result thereafter will make us to understand that civilization is not about abandoning your way of life but upgrading it with the current evolution. 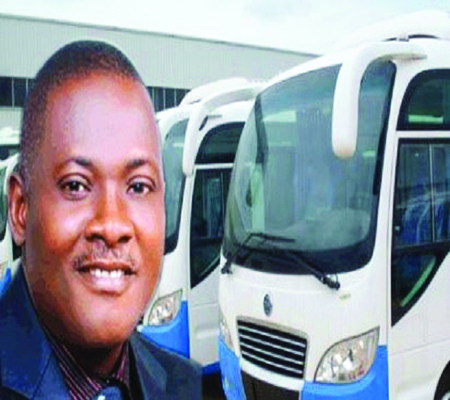 As seen with the INNOSON motors, the churches and the present day compromised leaders in our midst, couldn't do much only standing helplessly watching as an innocent man was being vilified and taken away by the forces of darkness. From all practicable purposes, only IPOB can save the Biafran people because that which is worn by the hand needs no mirror to know its quality.